Last two weeks have been super intensive. The reason is the Polar2018 meeting, a gathering of both Arctic and Antarctic research communities that brought together more than two thousand people to Davos in Switzerland. And of course INTERACT was there, too! For me the highlight of the week was the INTERACT TA User Community Meeting that took place as a side meeting of the Open Science Conference on Wednesday last week. We had close to forty participants, including many of our TA Users and INTERACT Station representatives. 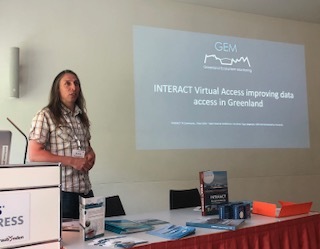 The programme consisted of research highlights, station presentations and we also took the opportunity to introduce the INTERACT Virtual Access and related possibilities for research via open access to station databases and monitoring data. The best of all for me was the opportunity to meet our TA Users, with whom I have so often exchanged e-mails and met over webinars and telecons, but never met face-to-face. It was such a delight to finally meet them and hear them present their research conducted with support by INTERACT Transnational Access. As always, it was a pleasure to meet the station managers to learn about some recent developments in the station facilities and also to hear their experiences on the collaboration with the TA User Groups. 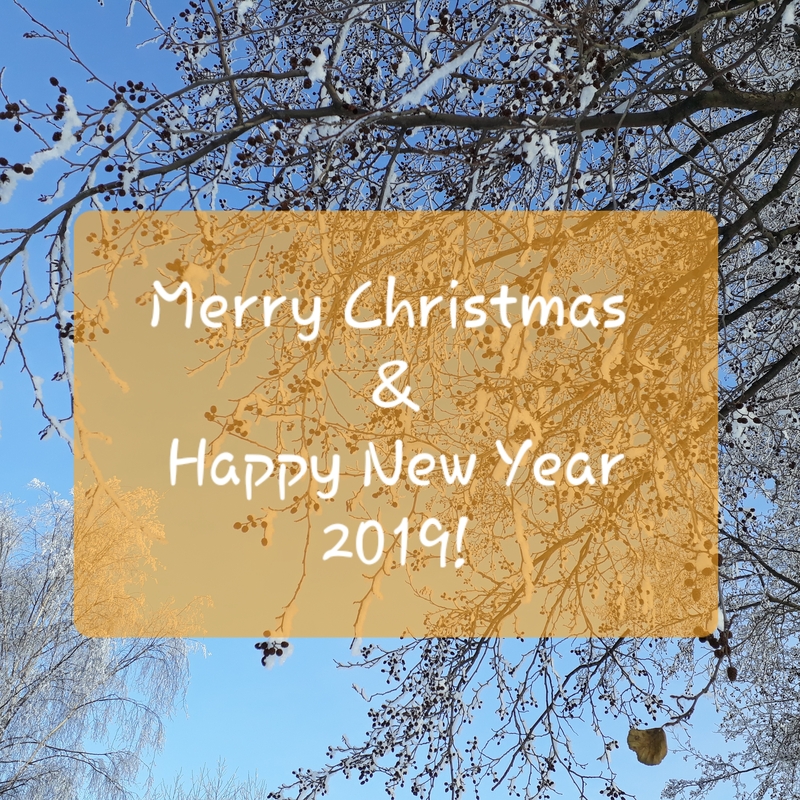 The positive atmosphere, networking and exchange of ideas was heartfelt and I am already looking forward to the next TA User Community in 2019! In addition to the TA User Community meeting, my week was filled with meetings of different scientific organizations, where I am either representing my home institution such as the European Polar Board, or where INTERACT is involved such as GEO Cold Regions Initiative and SAON Committee on Observations and Networks. All these meetings were also really interesting and productive, and great progress was made towards several goals approaching in the near future! 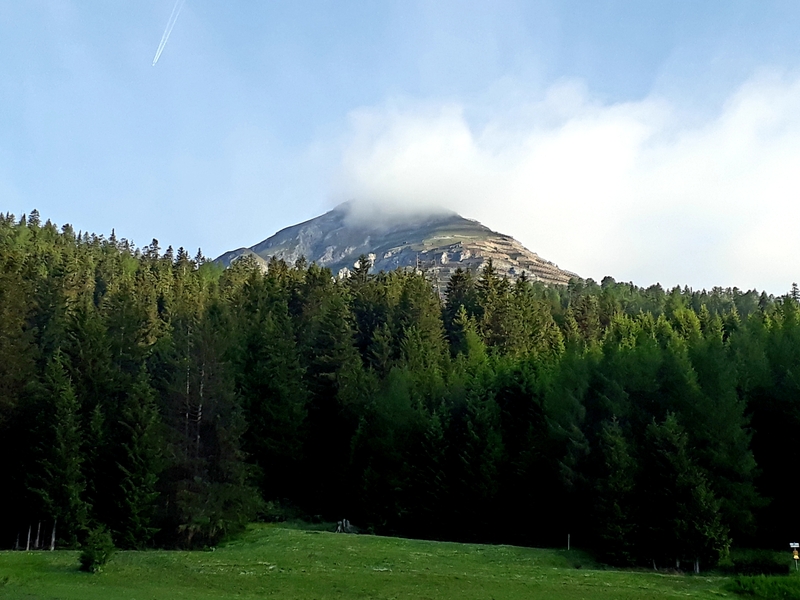 And of course the magnificent views in Davos, which I had a possibility to admire during my morning runs before the congress programme kicked-off for the day! Returning back to office on Monday I felt somewhat exhausted, but at the same time very content. Now things are going to calm down a bit for July, before speeding up again in August as we approach the UArctic Congress 2018 that will take place here on the first week of September. As a member of the organizing committee, I look forward to welcome many of my arctic colleagues to Oulu then! And what a spring! It’s been unusually warm for the past couple weeks here in Finland, and we already now have leaves on the trees by mid-May! It’s not only the spring weather that has been busy here, but we’ve also had an extremely hectic times here at the TA Coordination office, as you can see from the following. The summery photo is not from Finland or any Arctic place, but from Puglia area in southern Italy, where we recently had the INTERACT Daily Management Group meeting -it was really beautiful there, too, even though the north is still the closest to my heart! 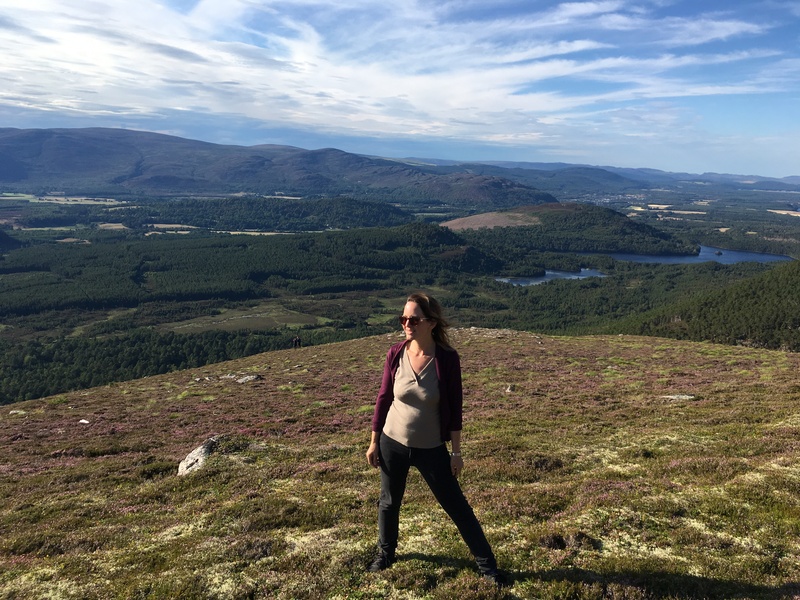 The new TA User Groups were selected in March, and we will have 47 TA/RA User Groups working at the INTERACT stations in the summer 2018 and autumn/winter 2018-2019 field seasons. We’ve already hosted a webinar to the User Groups to instruct with practical matters related to TA and RA, and to welcome them to the several TA User Community activities that we are arranging around the year. Recently, we also launched our INTERACT TA Ambassadors, whom you can meet at various congresses and meetings during the year to chat about TA and related opportunities. Learn more about the TA Ambassadors from the dedicated webpages! The new season of INTERACT Arctic Research Blogs is about to start within the next couple weeks, when the first TA User Groups start their work at the stations. We already have many bloggers recruited for the summer, both seasoned bloggers from the previous field seasons and complete newcomers. 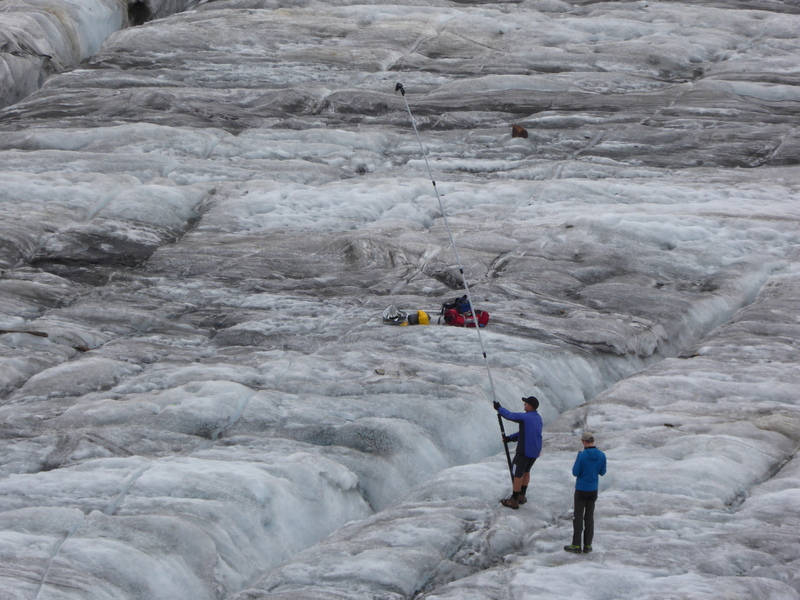 Looking forward to follow the adventures of the scientists in their Arctic fieldwork! The next TA User Community meeting will take place during the gathering of both Arctic and Antarctic scientists -the Polar 2018 meeting in Davos, Switzerland. The meeting will be about different modalities of TA, including Remote and Virtual Access and related opportunities for research. The meeting will take place on Wed 20th June at 12:30-14:00 in Room A Wisshorn and it’s open for all congress participants. 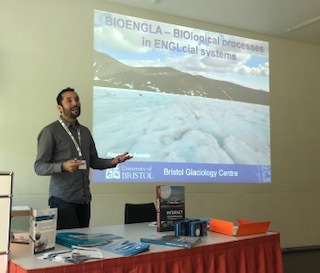 Come to meet us, if you are attending the Polar 2018! Another year has passed and a new year is beginning. For me, this has always been time to look back and reflect the events that took place over the past year, and after that put the past behind and start looking towards the opportunities and challenges lying ahead. 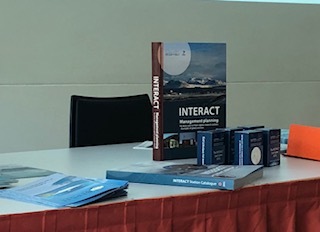 The past year, especially the autumn, was really busy as we introduced several new activities and initiatives here at INTERACT TA coordination. One of the biggest things was to establish and launch a new modality of Transnational Access, the INTERACT Virtual Access, that is now up and running, and will be expanding over the spring to cover more and more stations. Secondly, a lot of time and effort was used -together with our partner CLU- to develop, test and launch the new functionalities of INTERACCESS that is our on-line TA management interface. Then of course we also had the TA/RA Call open and the applications for access in s/s 2018 and a/w 2018-19 are now being evaluated. Decisions will be announced by the end of January. The new year has begun with a launch of yet another new activity, as we are now seeking INTERACT TA Ambassadors among our previous TA Users. It will be exciting to see how this new activity develops and announce the Ambassadors later in the spring! We also have a RA Call open until the end of January, and the following evaluation and decision process will take place in Feb-April. On 30th January we will also arrange a Webinar on Drones as a TA User Community event. More information to those of you interested in participating the webinar can be found from our TA User Community webpages. 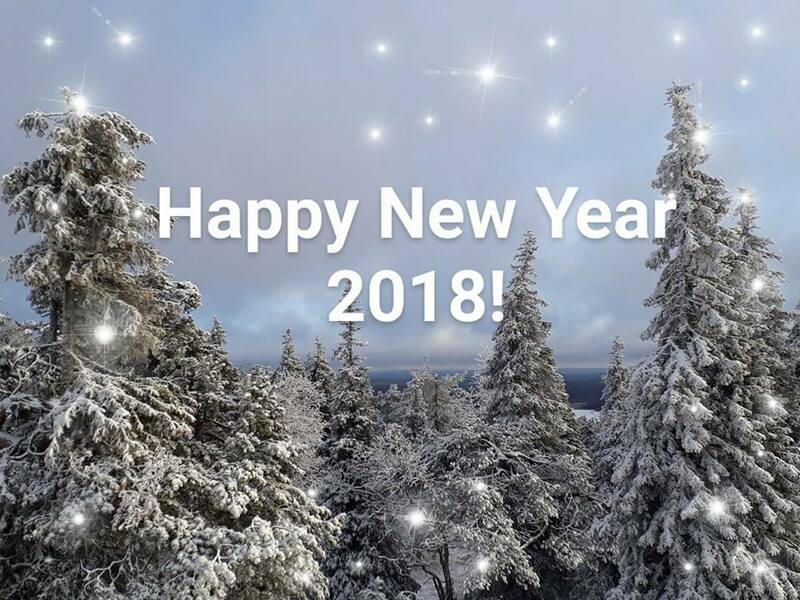 Happy and Successful New Year 2018 to everyone! It’s time to apply TA! With September starting up, the autumn has arrived. As the summer field season is approaching to its end, it’s time to start planning of the forthcoming research activities. For that, we have now opened the Transnational Access call for projects taking place between March 2018 and April 2019. 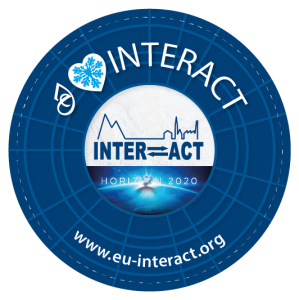 You can learn more about the Transnational Access (including the possibility for Remote Access) and the ongoing call from the INTERACT website. The call is closing on 13th October, so there is plenty of time to submit an application to conduct research at any (or many!) of the 43 research stations offering Transnational Access in INTERACT. We will arrange two webinars, one on 11th Sept (09:00 CEST) and one on 12th Sept (15:00 CEST), to provide information about the TA call and Transnational and Remote Access in general. Links to the webinars are available together with other information about the call at the TA Call web pages. 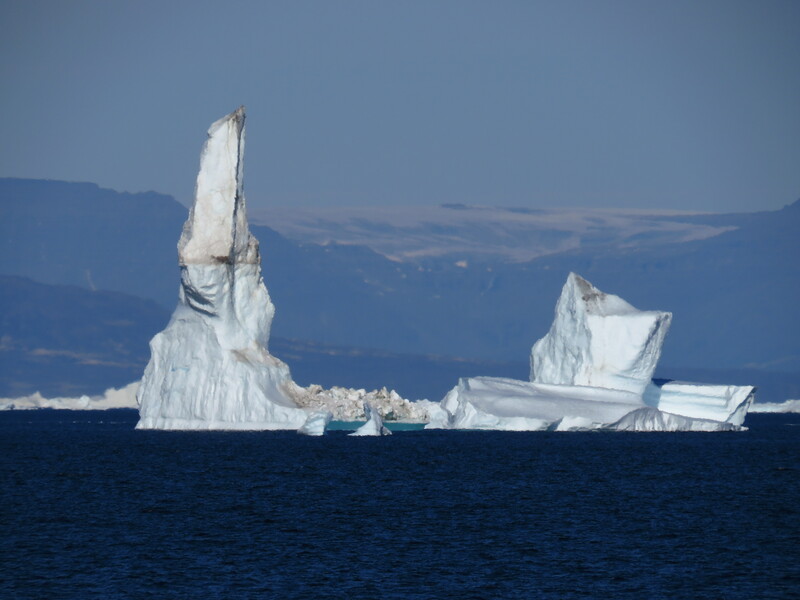 Join the webinars to learn more about the possibilities offered, and apply INTERACT TA to conduct research at the coolest places of the North! It’s hard to believe, but we are already past the Midsummer! Before the Midsummer time always seems to go so fast, then suddenly pause for the Midsummer, and then extend for the rest of the summer in July and August. 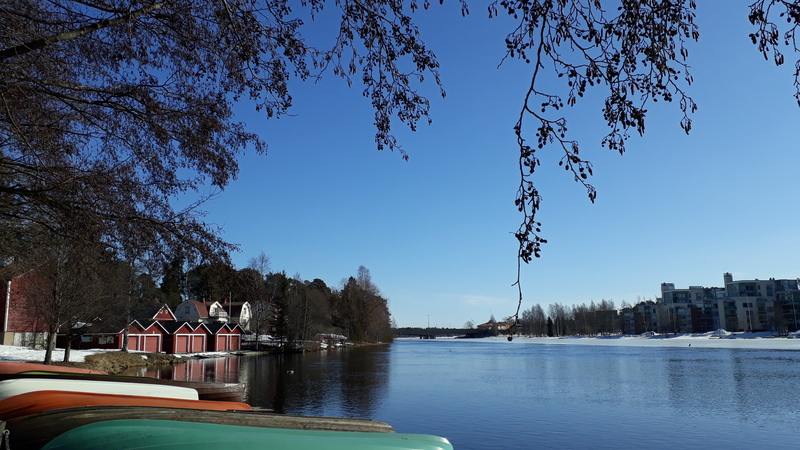 Perhaps it’s because of all the anticipation us Finns have for summer after the long and dark winter; the much awaited and precious white nights, warmth and green of the summer seem always to go past us too fast. This feeling has been especially strong this summer. First of all because the summer arrived so late –it was still snowing and no leaves on the trees here in Oulu on the first week of June! Secondly, because the summer -once it arrived- has been so cold. We’ve had only couple days with temperature above 20 degrees; mostly it has been well below that and raining. The only good consequence that I’ve figured out from this miserable summer weather has been that there are still not mosquitoes around –it has been too cold for even them to develop! Well, we celebrated the Midsummer anyways, because that’s the tradition, and after all it was a very nice occasion. Like most other Finns, we went to the summer cabin to meet relatives, and to enjoy barbecue food and smoked fish, and to have sauna by the lake. 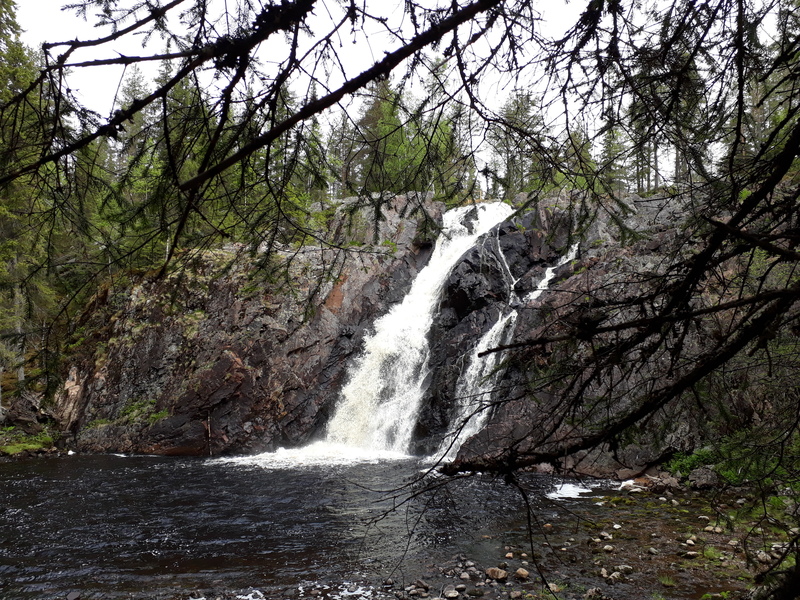 In addition, we went for a little hike to visit the Hepoköngäs waterfall, from where the following photos were taken. The waterfall is located in a nature conservation area in the municipality of Puolanka in the Kainuu region in eastern Finland. The height of the waterfall is 18 m, which makes it one of the highest in Finland. The place was really beautiful and peaceful, surrounded by old forest. 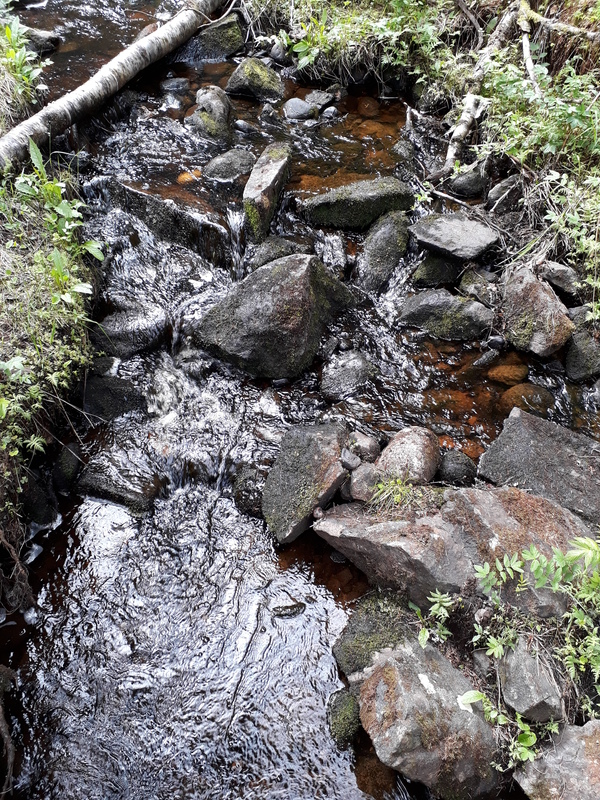 Many people already started their summer holidays from the Midsummer, but after the visit to the summer cabin and to the waterfalls, it feels like I have renewed my energies for the next weeks, before starting my holidays later in July for another trip to Eastern Finland! More about that in the next post! Last week, we opened our very first continuous call in the history of INTERACT. The call is for a new modality of Transnational Access called Remote Access. The idea of Remote Access is that the user group does not physically visit the station(s) themselves, but the experienced station staff instead conducts the study and collects the samples for the user group according to their research plan. This provides cost-efficiency, especially in comparative studies taking place at many stations, because there are no travel costs. The logistic costs and the staff-time required to conduct the study are included into the granted Remote Access. The RA call information can be found from the INTERACT website, and the applications are submitted on-line in the INTERACCESS system. The call and evaluation procedure, as well as the project reporting, are the same as in the regular Transnational Access. Altogether 17 stations offer Remote Access (RA) in INTERACT. Detailed information about the facilities available at each station can be found from the INTERACT Field Sites descriptions. The call for Remote Access is continuous, so it’s open around the year and applications with subsequent RA decisions are evaluated four times per year. We hope to receive many good applications for this new modality of Transnational Access, and look forward to see with interest what kind of ideas and innovations for Remote Access projects the scientific community will come up with!